The parish church of the tiny Dorset village of Wimborne St Giles boasts a range of historic features, most notably the tombs of the Ashley-Cooper family, Earls of Shaftesbury. 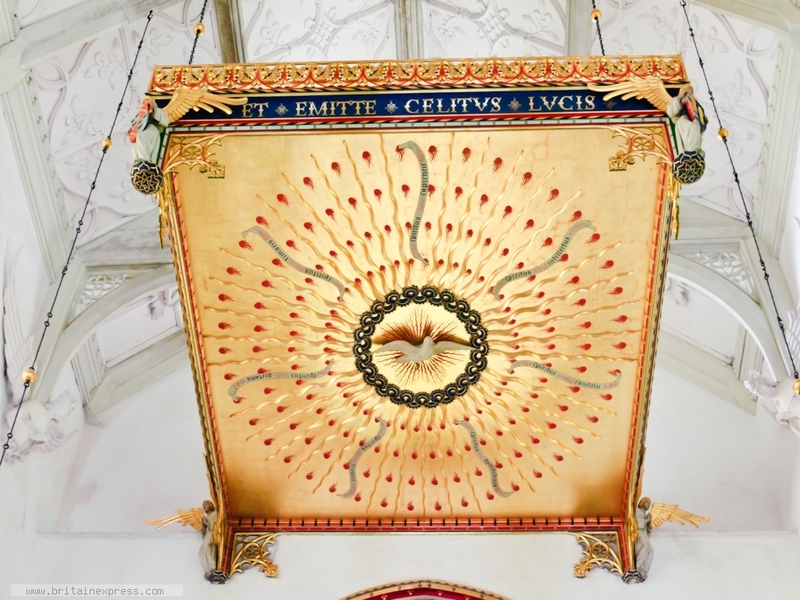 However, the historic features are overshadowed by an early 20th century remodelling performed by Sir Ninian Comper. Here is a Comper delight, an ornate gilded tester hovering high above the main altar.